Drug or alcohol addiction can negatively affect not only the person abusing substances, but also that person’s family and close friends. Family interventions are offered by many drug and alcohol rehabilitation centers to provide resources to families to help them bring loved ones, who are struggling with an addiction, into treatment. The goal is to protect the family, help the loved one transition to and maintain abstinence, and repair any broken relationships. Not all family interventions are the same and even the interventions that follow similar principles may differ in how they approach the situation based on the severity of the addiction, how the addiction has affected the family, and what the counselor deems as necessary for treatment. This process takes time because not everyone is initially open to treatment due to the social stigma surrounding addiction, personal denial, and other reasons. Families need to be patient with their loved one, unless their loved one has caused them physical harm. Anytime someone’s life or physical well-being is threatened by a loved one’s addiction or mental state, most mental health programs are expected to intervene or hospitalize the loved one to protect potential victims. Hospitalization may involve long-term residential treatment for substance abuse if they diagnose the loved one with substance use disorder. Substance use in a family is serious issue because of the way this behavior can influence any children who are still developing psychologically. Negative developmental effects on children exposed to parents or relatives who abuse substances can lead to unmet developmental needs, disrupted attachment formations, emotional distress, and physical abuse if arguments escalate into violence. Some children may pick up on drug use behaviors because children tend to mimic the actions of others, including adults, in order to learn how to do things. If the parents do not explain that their relative’s drug use is wrong or if the parents themselves abuse drugs, then the child will learn that drug use is normal and may start abusing drugs when the opportunity presents itself in the future. Parents play a crucial role in teaching children right from wrong, which is why Child Protective Services (CPS) removes children from dangerous homes with parents who abuse illegal drugs. That is an example of an extreme level of family intervention related to substance addiction. 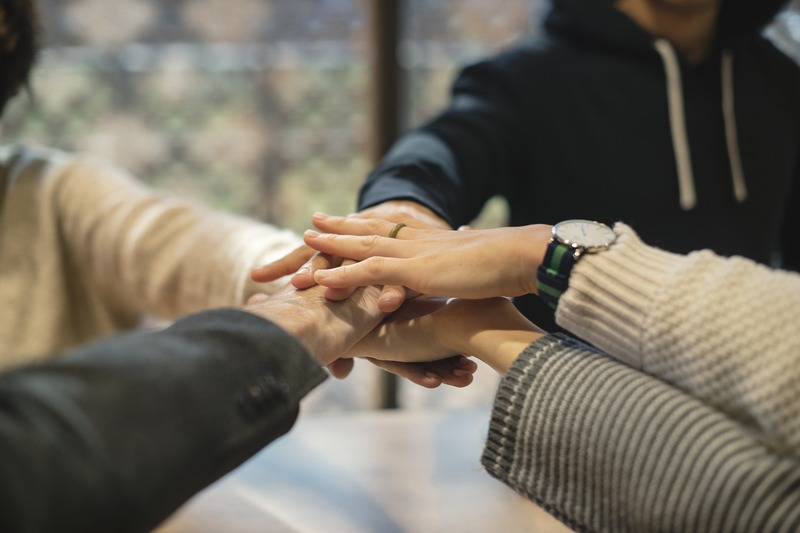 Family intervention itself can be done by friends or family members who meet as a group to plan out a way to motivate their loved one to seek residential treatment for substance abuse. Others may seek help from a doctor or mental health professional to plan out the intervention. An intervention usually consists of talking to the loved one in way that is non-confrontational and sympathetic. Family intervention programs will speak with the loved one and family members about destructive behaviors related to addiction, a treatment plan with goals for abstinence, and what each family member should do if their loved one backs out of treatment. Drug and alcohol rehabilitation centers offer different levels of intervention that depend on the severity of the situation. At level 1, a substance abuse counselor will conduct regular sessions with a client who is struggling with an addiction to alcohol or drugs, but with minimal involvement with the client’s family other than for legal or practical reasons. If the family is starting to become significantly affected by their loved one’s substance abuse, then the counselor will provide psychoeducation to family members to teach them how to handle any needs their loved one might have, which is level 2. During level 3, the counselor will work with the loved one and family to identify negative feelings associated with the addiction. The counselor will hear family member concerns and feelings while working to reduce any stress that may exist within the family structure. However, at level 4, a full assessment will be conducted and an intervention will be planned out to develop healthy coping strategies, increase problem solving skills to reduce conflicts, and balance roles of support to ensure no one feels controlled. Level 5 is the highest level because this level involves referral to a family therapist who is trained in how the family structure operates. This is when treatment goals are formulated and then enacted by various family members. Three main types of family intervention strategies are the Johnson Intervention, Unilateral Family Therapy, and Community Reinforcement Training (CRT). The Johnson Intervention coaches and guides rehearsal for family members to approach someone they know who has a substance abuse problem. During this intervention, they are instructed to explain their genuine concerns, encourage residential treatment for substance abuse, and describe what could happen if their loved one refuses treatment. Unilateral Family Therapy involves meeting with the spouse of someone with a substance addiction for several months to work on coping skills for dealing with their partner’s addiction and ways to safely motivate their partner to enter into a treatment program. CRT has been used for alcohol and cocaine addictions for spouses affected by their partner’s addiction. This approach offers a 24-hour service that schedules meetings almost anytime the spouse calls for assistance. At the Recover, our goal is to offer helpful information for those struggling with alcohol or drug addictions in a non-judgmental manner. We also strive to provide resources to families with relatives who abuse drugs, which means information regarding family interventions and family therapy. No one should have to deal with the unpleasant withdrawal symptoms and cravings either, which is why we encourage you to seek help if you have an addiction. The Recover is an unbiased substance abuse and mental health news provider that offers the public information about different types of substance addictions. We also provide information about West Virginia centers for addiction recovery. If you or someone you know has a drug or alcohol addiction, then call (888) 510-3898 to speak with a treatment specialist who will answer your questions and help you find a drug and alcohol rehabilitation center.